Landis Technologies joins a growing list of vendors turning to tekVizion to provide both independent certification and also its interoperability guarantee. tekVizion has certified interoperability of Landis Technologies’ Attendant Pro with Microsoft Skype for Business. As part of that certification, the Landis Technologies console is guaranteed under the tekVizionVerified program. This provides customers with an extra level of assurance that Landis Technology products will work within the customer’s Skype for Business environment. “Landis Technologies joins a growing list of vendors turning to tekVizion to provide both independent certification and also its interoperability guarantee. In fact, all solutions that we certify for Microsoft are also covered by our tekVizionVerified program. Customers can be confident that the Landis Technologies attendant console will interoperate with Skype for Business and deliver value within the environment tested,” Vimal Andrews, director of strategic accounts at tekVizion. “In 2014 Landis Technologies reoriented the Skype for Business attendant console category by launching, Attendant Pro, the first native attendant console software client for Skype for Business & Office 365. We believe that a simple, BYOD-like experience is the future of Skype for Business solutions and has contributed to the rapid growth of our attendant console to clients in over 40 countries. Achieving tekVizion Verified and “Certified for Skype for Business” is another indication that our attendant console solution can be selected with confidence,” said Matt Landis, managing owner of Landis Technologies LLC. The tekVizionVerified program is the first of its kind in the industry, guaranteeing technologies that are validated for interoperability will work within the environment tested. 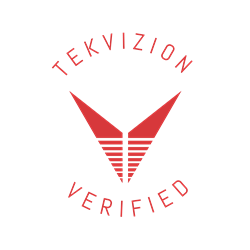 To date, tekVizion has verified more than 650 business communications solutions under the tekVizionVerified program. tekVizion helps service providers, vendors and enterprise customers accelerate time to value, improve reliability and reduce the costs of deploying multi-vendor communication networks. tekVizion offers a range of services including interoperability testing, on-demand access to virtual lab environments, test automation platforms and custom application development.